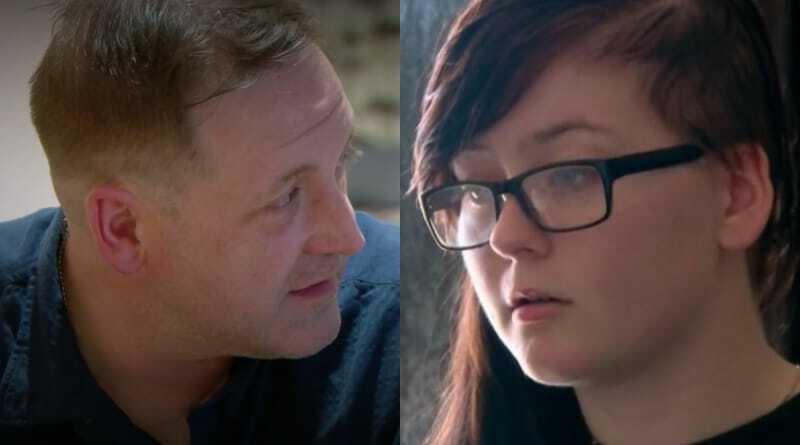 90 Day Fiance Eric Rosenbrook initiated the restraining order against his daughter Tasha Rosenbrook on behalf of his wife Leida Margaretha, according to a leaked document. In addition, it looks like Eric was disciplined at work for going after a YouTuber says more leaked info. Here’s a look at what Eric has reportedly done and some of the consequences for going after his wife’s critics. 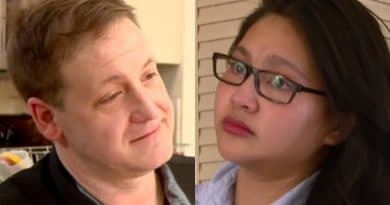 90 Day Fiance: Is Eric Rosenbrook’s Job At Risk? Eric and Leida came under fire recently for allegedly going after 90 Day Fiance YouTuber Auntie’s Advice. Allegedly, they engaged in doxxing – calling Auntie’s workplace and trying to get her fired. Interestingly, actions like these may be getting Eric in trouble at his own job. An Instagram post (see below) says Eric got a written warning at work for “inappropriate behavior”. The post says if he “attacks another vlogger”, he will lose his job. Further, the post says that “Eric signed it without protest”. If this leak is true, it seems his co-workers don’t care for him and “treat him like the plague”. This source says they only speak to him about work-related things and otherwise avoid the Baraboo Marine. The four-year restraining order against his middle daughter, 90 Day Fiance star Tasha Rosenbrook, outraged 90 Day Fiance fans. And that sentiment grew when his part in the legal proceedings was allegedly exposed. 90 Day Fiance star Eric Rosenbrook is also under fire for his apparent role in filing the restraining order. Fans don’t like that it was against his own daughter. First there was a TRO (temporary restraining order) and that then turned into a four-year injunction against Tasha Rosenbrook. In addition, this ruling could have long term consequences. Things like this stay on permanent records forever and can be difficult (if not impossible) to expunge even after the injunction period expires. This could impact her ability to find employment or rent a place to live. According to another leaked document, it was Tasha’s father Eric that requested the order for bride Leida Margaretha. See the images below. One is of a document requesting the TRO. It is requested by the “spouse of petitioner” that the leaker says Eric Rosenbrook filled out for the court. But there’s possibly more to this 90 Day Fiance story. The court documents from Sauk County, Wisconsin show that Leida Margaretha had a lawyer representing her in court. However, there is no attorney of record for Tasha Rosenbrook listed. It’s a fair guess that the young woman might not have been able to afford an attorney. See more info in the images above. It says the judge ruled based on three posts that didn’t even mention Leida by name. The source further says that Tasha didn’t file a countersuit to show what Leida Margaretha was saying about her online. Because of this, the judge “determined that Tasha was inciting all the hate posts and death threats”. Did Tasha Rosenbrook get a fair shake in court? 90 Day Fiance fans were stunned that the injunction against her were so lengthy – at four years – when it was evident on social media that the negative interaction between the two women was a two-way street. 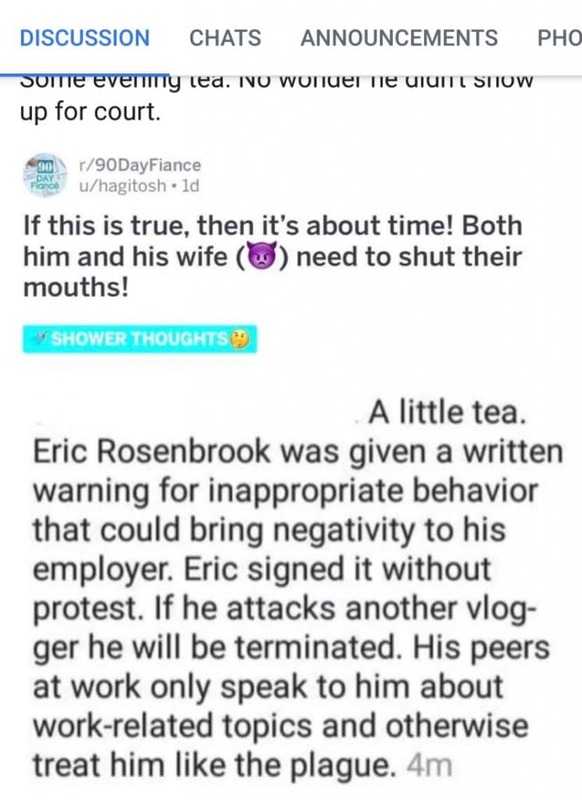 If the document above is legit, then Eric Rosenbrook helped his wife pursue the restraining order taken out against Tasha. The attorney for Leida Margaretha confirmed that Tasha was ordered to stay away from Leida and not to say anything to “antagonize” her stepmother on social media. Check back with Soap Dirt often for the latest 90 Day Fiance news and leaks. 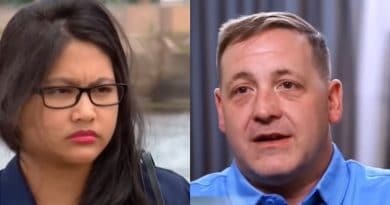 90 Day Fiance: Leida and Eric Rosenbrook Want Custody of Jennica to Avoid Child Support?